Freight companies make the process of shipping product across the country or internationally a less stressful process that saves both time and money. According to FreightRun, an advanced freight software system allows companies to compare rates from several different shipping carriers. These software systems improve logistics through the use of technology by simplifying the process of finding a carrier and completing customs forms. Technology can also aid logistics by using software to find the best rates, times and coordinate schedules for optimal delivery times. When shopping around for a carrier, it can be a logistical nightmare to shop around for the best rate. Attempting to do this without the use of technology can cost you valuable time, and there is no guarantee you will be able to sort through all of the available carriers. Even if you find a discount carrier, their rates may only be valid for a specific area of the country where they ship most often. Each new shipment requires a review of the best, safest, most affordable and cheapest freighters available on the market. According to Export.gov, a government website designed to help U.S. companies export, hiring a firm can greatly improve logistics resulting in less time required to ship items across the nation or overseas. Initially, companies would ship items between country and not make use of good logistical planning to ensure a profit on the return trip. According to an ask the expert series at FoodProcessing.com, Japanese automobile manufacturers shipped cars from the U.S. to Japan. After emptying the ship, the manufacturer shipped shiitake mushrooms back to the U.S. to compensate for what would otherwise be empty miles. This required improved logistics, and turned an otherwise unprofitable journey into a profitable one. Technological advances help shippers and logistics providers track speed, location, fuel and service hours. This allow a shipper to know whether the customer should expect a delay when shipping items. Mobile devices have a wide variety of built-in functions that make it possible to increase the effectiveness of logistics. Built-in cameras, barcode scanners, RFID tags, GPS, voice recognition software and shared logistics networks are just a few of the benefits that come from mobile technology. The ability to use wireless technologies makes these options even more efficient. Using technology, it’s possible to reduce the costs of warehousing. If you know that a shipment is going to be delayed at a certain point along the way using a faster shipping method, you can adjust the shipping method to save customers time and money. 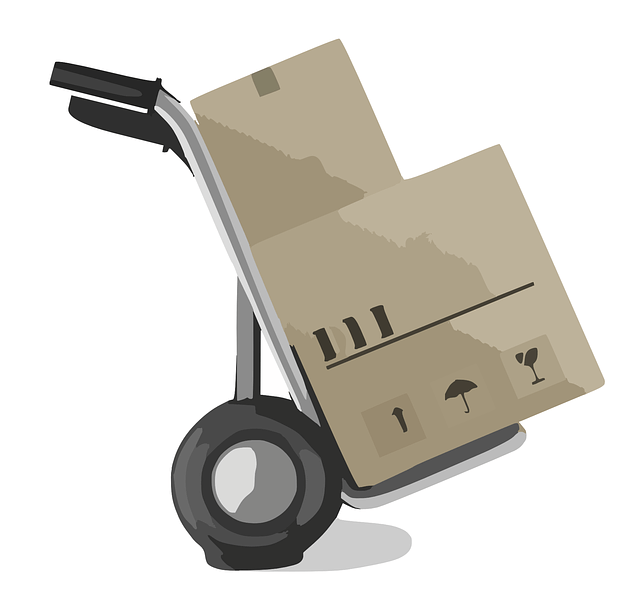 Using a slightly slower shipping option may make sense if it means less time storing items in a warehouse. This is where logistics and technology come together to provide the information needed to make deliveries as efficient as possible. Logistics and technology complement each other by making it easier for companies to collaborate with each other to ensure on-time arrivals and reduce costs. In order for logistics to be effective, it’s important that data is readily available. The end result is better strategic planning, improved implementation roadmaps and the development of new telematics that can be used by logistics companies to increase efficiency.